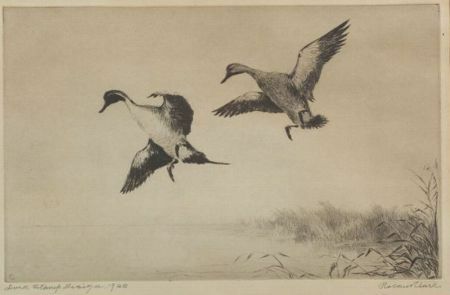 Duck Stamp Design, 1938. Signed "Roland Clark" in pencil l.r., titled and dated in pencil l.l. Etching on paper, plate size 6 7/8 x 10 3/4 in. 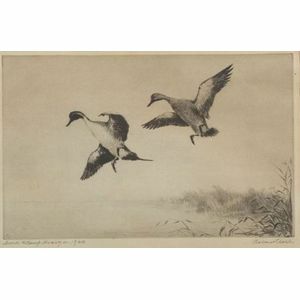 (17.5 x 27.3 cm), framed together with the hunting stamp.